Another cold week in Centre County means not nearly enough high school baseball. Just a few games were slotted between snow storms and other types of unfavorable weather. Of the six games scheduled between April 2 and 9, the Eagles were forced to postpone all but one. The afternoon of April 6 finally gave BEA and Central High School a nice enough day to play ball, and it only got better for the Eagles from there. Scoring nine runs in the sixth inning alone, BEA routed the Lancers 17-2. As a team, BEA left the diamond with 17 hits. Matt Reese tallied three RBIs and three runs and a double on a 3-for-4 day. Trent Donley added another two hits in three at-bats, adding a double and three more runs. Hunter Brooks added two more doubles as well as two RBIs, while Garrett Barnhart added three hits and three runs. Kael Gardner and Dylan Bisel both went 2-for-4, while Bisel drove in three. Nick Maynard was on the mound for the Eagles, only allowing four hits and striking out three in six innings to earn the win. Weather permitting, BEA will head to Tyrone on Friday, April 13, for a game at 4:30 p.m. The next day, the Eagles will face off against Penns Valley at Medlar Field at Lubrano Park with the first pitch set for 4:30 p.m. On Monday, April 16, Bald Eagle’s road trip will end at Bellefonte with first pitch at 4:30 p.m. The Red Raiders also managed to play only their April 6 game, falling to Huntingdon 4-3. Bellefonte struck first with a run in the bottom of the first before going down 2-1 in the top of the third. The Red Raiders struck again in the bottom of the third and fourth innings to take the lead 3-2 before allowing the tying run in the seventh and the go-ahead run in the eighth. Cade Fortney and Daniel Catchmark both had two hits (2-for-5 and 2-for-3, respectively) while Fortney scored a run. Colton Burd went 1-for-4 with a home run and two RBIs. Dylan Deitrich went 0-for-4 with a walk and ended up scoring. The Red Raiders head to DuBois on Friday, April 13, for a 4:30 p.m. first pitch, followed by a visit from Philipsburg-Osceola on Saturday, April 14, at 2 p.m. On Monday, April 16, Bald Eagle Area pays a visit, while Penns Valley arrives Tuesday, April 17, for a matchup. Both games will start at 4:30 p.m. The Rams’ only game this past week came against county rivals St. Joe’s on April 6. PV would come out on top, 5-4. Penns Valley notched two runs in the top of the second before St. Joseph's tied it up in the third. Penns Valley added one in the fourth before the Wolves took the lead in the fifth, 4-3. PV tied the game back up in the next frame before jumping back in front 5-4 in the eighth. St. Joe’s outhit PV 7-5, but walked seven Rams. Cameron Shaffer went 3-for-5 with a double on the day. Logan Snyder, Nate Gillespie and Jesse Darlington all went 0-for-3, but drove in a run each. Snyder’s RBI counted for the go-ahead run on a sacrifice fly in the eighth. Calvin Russell finished 2-for-4 with a double and three runs scored. Mason Lieb earned the win for PV with three scoreless innings of relief pitching. PV has three upcoming games scheduled. They start Friday, April 13, with Clearfield, followed Sunday, April 15, with Bald Eagle and Tuesday, April 17, at Bellefonte. First pitches are scheduled for 4:30 p.m., 6 p.m. and 4:30 p.m., respectively. The Mounties finally played their first game of the season April 9, rolling by Juniata 14-0. Despite only playing five innings, P-O managed to put up the huge score with a burst of seven runs in the third and twin runs in the first and second and three in the fourth. The Mounties outhit Juniata 14-to-1. Ryan Kephart went 3-for-3 with two runs and an RBI. Micah Martin added two more RBIs and another run on his 2-for-3 night. Landon McDonald went 2-for-3, adding two more runs and an RBI. Several other Mounties added RBIs and runs. Josh Earnest pitched all five innings for P-O, only allowing one hit in the winning effort. P-O has four games coming up, starting at 4:30 p.m. Thursday, April 12, at DuBois Central Catholic. On Sunday, April 15, the Mounties head to Bellefonte for a 2 p.m. game, and on Monday, April 16, P-O’s road trip ends with Clearfield at 4:30 p.m. Philipsburg-Osceola hosts Huntingdon on Tuesday, April 17, at 4:30 p.m. The Wolves had a 5-4 loss to Penns Valley on April 6. Jack Mangene went 2-for-5 on the day and scored twice. Ben Macafee clocked a two-bagger and a pair of RBIs. The Wolves have two games scheduled: a visit by Homer-Center on Monday, April 16, at 4 p.m. followed by Moshannon Valley on Tuesday, April 17, at 4:30 p.m. 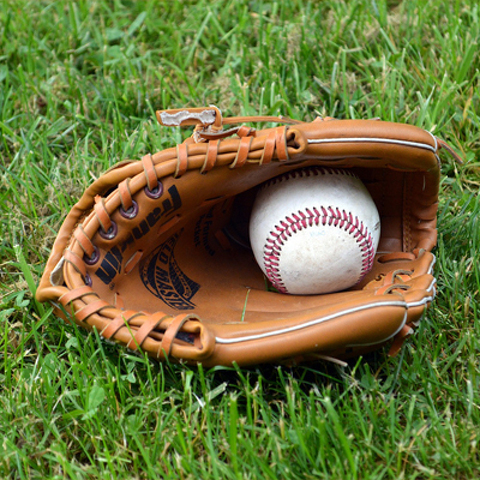 The Little Lions managed to play two games this early season, winning their April 6 matchup with Central Dauphin 13-3, but falling to Red Land 14-0 on April 7. Kevin Karstetter went 3-for-4 with four RBIs against Central Dauphin. Matthew Tomczuk, Danny Adams, Brenden Franks and Ryan Gess each scored twice. Tyson Cooper drove in two runs on a 1-for-3 day. David Shoemaker pitched all five innings, allowing three runs (two earned) on four hits and two walks. Shoemaker struck out three. On April 8, Matthew Tomczuk was the only Little Lion to reach base with one hit and one walk. Noah Aungst was on the mound for State High, pitching three innings and giving up 10 runs (seven earned) on 10 hits and five walks with one strikeout. Brandon Lingenfelter came in for two innings of relief and gave up four runs on six hits while striking out two. The Little Lions have four upcoming games, starting at Carlisle on Thursday, April 12, at 4:15 p.m. Hazleton comes to State College on Sunday, April 15, at 1:30 p.m., followed by another road trip to Mifflin County and Cedar Cliff on Monday, April 16, and Tuesday, April 17. Those first pitches are both scheduled for 4:15 p.m.